I want to talk to someone about my understanding of the eightfold path. Sure... how do you understand it? It's alot like it is shown in the book "blueprint for happiness". I have been dealing with alot with the negative emotion of fear. What is your understanding of it? To bring it into a Theravada frame, please explain specifically what the negative aspects are that you referred to, and what your view of the NEP is. I am not sure which book you are talking about, there are several out there with this title. As you have given us very little to work on, one thing to mention is, that Theravada does not try to make you 'happy' in the colloquial sense of the word and that overcoming personal fears is more or less a side effect of Practice, not its aim. The Noble Eightfold Path tries to detach you from delusions and fetters, which are reinforced by our emotions. From this detachment, insight follows, firstly that our states of mind are impermanent. Everything else follows from there. Coming back to fear. fear in the Theravada sense is coming from Aversion (Dvesha, one of the three character afflictions leading to Dukkha). Depending on your distinct fear, this might be rooted in self-loathing, or antagonism against something in your surroundings. To overcome Aversion, you could practice Metta bhavana and try to develop Sila (moral integrity). I know that this sounds horribly dry and theoretical, almost to the point of being no help at all to somebody being seriously afflicted by an emotional issue. But if you would be more concrete in your specific needs, maybe a clearer advice will become possible. firstly that our states of mind are impermanent. Everything else follows from there. In Theravada as directed in the Sattipatthana sutta, the body is fundamental to meditation, for one it being much easier to recognize impermanence in materiality than in mentality. Meditation should begin with one of the six subjects listed under the first foundation of mindfulness. Excessive focus on mentality is therefore dangerous. The Pali word for aversion is dosa. 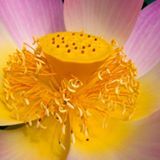 It is not profitable to suggest the mixing of Mahayana and Theravada components as they come from opposing contexts, the former advocating unity, while the latter always maintains the duality of samsara and nibbana. Yes it does sound dry and theoritcal. I have alot of anger that I deal with. I have a hard time focusing in meditation. The Pali word for aversion is dosa. It is not profitable to suggest the mixing of Mahayana and Theravada components as they come from opposing contexts, the former advocating unity, while the latter always maintains the duality of samsara and nibbana. Arghh, of course Dosa it is! My error of hastiness has turned an already shaky advice into something wholly confusing. @ShanYin, pls take on my post only with this additional remark of @paul in mind! I have alot of anger that I deal with. I have a hard time focusing in meditation. i like the micro and macro explanation of the 8FNP whereas the macro cultivation of the factors conditions the mind to eventually leads to the arising of a mind with eight path factors resulting in cessation. Are there any suttas you can point to, which explain what you're talking about here? This being the Discovering Theravada section, a Theravada source would be good. "And what, monks, is right action? Abstaining from taking life, abstaining from stealing, abstaining from unchastity: This, monks, is called right action. "And what, monks, is right concentration? (i) There is the case where a monk — quite withdrawn from sensuality, withdrawn from unskillful (mental) qualities — enters & remains in the first jhana: rapture & pleasure born from withdrawal, accompanied by directed thought & evaluation. (ii) With the stilling of directed thoughts & evaluations, he enters & remains in the second jhana: rapture & pleasure born of concentration, unification of awareness free from directed thought & evaluation — internal assurance. (iii) With the fading of rapture, he remains equanimous, mindful, & alert, and senses pleasure with the body. He enters & remains in the third jhana, of which the Noble Ones declare, 'Equanimous & mindful, he has a pleasant abiding.' (iv) With the abandoning of pleasure & pain — as with the earlier disappearance of elation & distress — he enters & remains in the fourth jhana: purity of equanimity & mindfulness, neither pleasure nor pain. This, monks, is called right concentration." Thought engaged upon the Higher Ideal (lokuttarain cittam). ...And just this noble eightfold path is the path of practice leading to the cessation of form, i.e., right view, right resolve, right speech, right action, right livelihood, right effort, right mindfulness, right concentration. ...And just this noble eightfold path is the path of practice leading to the cessation of consciousness, i.e., right view, right resolve, right speech, right action, right livelihood, right effort, right mindfulness, right concentration. Path knowledge experiences nibbāna, which is the cessation of all mental and physical phenomena (such as constantly arising and disappearing in-breath and out-breath or mindfulness). Due to this experience, one fully understands without confusion that all these phenomena (i.e., the in-breath and out-breath, mindfulness, dependent material phenomena, constantly arising and disappearing mental and physical phenomena, conditioned phenomena) are suffering and not peaceful. Note that Nibbana here means extinguishing/cessation. 5. “And what, bhikkhus, is wrong view? ‘There is nothing given, nothing offered, nothing sacrificed; no fruit or result of good and bad actions; no this world, no other world; no mother, no father; no beings who are reborn spontaneously; no  good and virtuous recluses and brahmins in the world who have realised for themselves by direct knowledge and declare this world and the other world.’ This is wrong view. 7. “And what, bhikkhus, is right view that is affected by the taints, partaking of merit, ripening in the acquisitions? ‘There is what is given and what is offered and what is sacrificed; there is fruit and result of good and bad actions; there is this world and the other world; there is mother and father; there are beings who are reborn spontaneously; there are in the world good and virtuous recluses and brahmins who have realised for themselves by direct knowledge and declare this world and the other world.’ This is right view affected by taints, partaking of merit, ripening in the acquisitions. 10. “Therein, bhikkhus, right view comes first. And how does right view come first? One understands wrong intention as wrong intention and right intention as right intention: this is one’s  right view. 12. “And what, bhikkhus, is right intention? Right intention, I say, is twofold: there is right intention that is affected by taints, partaking of merit, ripening in the acquisitions, and there is right intention that is noble, taintless, supramundane, a factor of the path. 13. “And what, bhikkhus, is right intention that is affected by taints, partaking of merit, ripening in the acquisitions? The intention of renunciation, the intention of non-ill will, and the intention of non-cruelty: this is right intention that is affected by taints … ripening in the acquisitions. 14. “And what, bhikkhus, is right intention that is noble, taintless, supramundane, a factor of the path? The thinking, thought, intention, mental absorption, mental fixity, directing of mind, verbal formation in one whose mind is noble, whose mind is taintless, who possesses the noble path and is developing the noble path: this is right intention that is noble … a factor of the path. 18. “And what, bhikkhus, is right speech? Right speech, I say, is twofold: there is right speech that is affected by taints, partaking of merit, ripening in the acquisitions; and there is  right speech that is noble, taintless, supramundane, a factor of the path. 19. “And what, bhikkhus, is right speech that is affected by taints, partaking of merit, ripening in the acquisitions? Abstinence from false speech, abstinence from malicious speech, abstinence from harsh speech, abstinence from gossip: this is right speech that is affected by taints … ripening in the acquisitions. 20. “And what, bhikkhus, is right speech that is noble, taintless, supramundane, a factor of the path? The desisting from the four kinds of verbal misconduct, the abstaining, refraining, abstinence from them in one whose mind is noble, whose mind is taintless, who possesses the noble path and is developing the noble path: this is right speech that is noble … a factor of the path. 25. “And what, bhikkhus, is right action that is affected by taints, partaking of merit, ripening in the acquisitions? Abstinence from killing living beings, abstinence from taking what is not given, abstinence from misconduct in sensual pleasures: this is right action that is affected by taints … ripening in the acquisitions. 26. “And what, bhikkhus, is right action that is noble, taintless, supramundane, a factor of the path? The desisting from the three kinds of bodily misconduct, the abstaining, refraining, abstinence from them in one whose mind is noble, whose mind is taintless, who possesses the noble path and is developing the noble path: this is right action  that is noble … a factor of the path. 27. “One makes an effort to abandon wrong action and to enter upon right action: this is one’s right effort. Mindfully one abandons wrong action, mindfully one enters upon and dwells in right action: this is one’s right mindfulness. Thus these three states run and circle around right action, that is, right view, right effort, and right mindfulness. 31. “And what, bhikkhus, is right livelihood that is affected by taints, partaking of merit, ripening in the acquisitions? Here, bhikkhus, a noble disciple abandons wrong livelihood and gains his living by right livelihood: this is right livelihood that is affected by taints … ripening in the acquisitions. 32. “And what, bhikkhus, is right livelihood that is noble, taintless, supramundane, a factor of the path? The desisting from wrong livelihood, the abstaining, refraining, abstinence from it in one whose mind is noble, whose mind is taintless, who possesses the noble path and is developing the noble path: this is right livelihood that is noble … a factor of the path. 33. “One makes an effort to abandon wrong livelihood and to enter upon right livelihood: this is one’s right effort. Mindfully one abandons wrong livelihood, mindfully one enters upon and dwells in right livelihood: this is one’s right mindfulness. Thus these three states run and circle around right livelihood, that is, right view, right effort, and right mindfulness. 34. “Therein, bhikkhus, right view comes first. And how does right view come first? In one of right view, right intention comes into being; in one of right intention, right speech comes into being; in one of right speech, right action comes into being; in one of right action, right livelihood comes into being; in one of right livelihood, right effort comes into being; in one of right effort, right mindfulness comes into being; in one of right mindfulness, right concentration comes into being; in one of right concentration, right knowledge comes into being; in one of right knowledge, right deliverance comes into being. Thus, bhikkhus, the path of the disciple in higher training possesses eight factors, the arahant possesses ten factors. 35. “Therein, bhikkhus, right view comes first. And how does right view come first? In one of right view, wrong view is abolished, and the many evil unwholesome states that originate with wrong view as condition are also abolished, and the many wholesome states that originate with right view as condition come to fulfilment by development. “In one of right intention, wrong intention is abolished, and the many evil unwholesome states that originate with wrong intention as condition are also abolished, and the many wholesome states that originate with right intention as condition come to fulfilment by development. “In one of right speech, wrong speech is abolished … In one of right action, wrong action is abolished … In one of right livelihood, wrong livelihood is abolished  … In one of right effort, wrong effort is abolished … In one of right mindfulness, wrong mindfulness is abolished … In one of right concentration, wrong concentration is abolished … In one of right knowledge, wrong knowledge is abolished … In one of right deliverance, wrong deliverance is abolished, and the many evil unwholesome states that originate with wrong deliverance as condition are also abolished, and the many wholesome states that originate with right deliverance as condition come to fulfilment by development. 37. “Bhikkhus, if any recluse or brahmin thinks that this Dhamma discourse on the Great Forty should be censured and rejected, then there are ten legitimate deductions from his assertions that would provide grounds for censuring him here and now. If that worthy one censures right view, then he would honour and praise those recluses and brahmins who are of wrong view. If that worthy one censures right intention,  then he would honour and praise those recluses and brahmins who are of wrong intention. If that worthy one censures right speech … right action … right livelihood … right effort … right mindfulness … right concentration … right knowledge … right deliverance, then he would honour and praise those recluses and brahmins who are of wrong deliverance. If any recluse or brahmin thinks that this Dhamma discourse on the Great Forty should be censured and rejected, then these are ten legitimate deductions from his assertions that would provide grounds for censuring him here and now. First of all anger often (always?) Is directed toward peoples or living beings. When your mind is attached and directed to some expectations or suitable results. When you want something to be, but because of s0mething don't working or someone's job is of bad quality, your plans are damaged or destroyed. The attachment of the mind with the destruction of the plans causes suffering, and mind directs this suffering to the (supposed) origin of the destruction of plans and causes anger toward the origin.